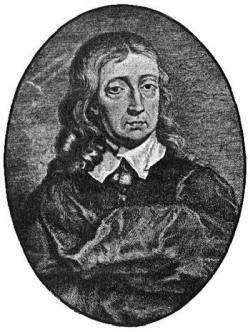 Was poet John Milton the father of science fiction? Was John Milton the father of science fiction? Before an ominous two-handed engine called “budget constraints” smote it into oblivion, a movie adaption of Milton’s Paradise Lost was slated to arrive in 2013. Directed by Alex Proyas and starring Bradley Cooper as Satan, the film was billed as a science fiction actioner featuring 3-D “aerial warfare” between heavenly hosts and (probably) a lot of dark muttering about forbidden knowledge. Now Legendary Pictures has scrapped the epic, leaving us to contemplate our theology this Christmas without the promise of Cooper lolling around in a lake of fire, looking roguish. But that doesn’t mean we should forget Paradise Lost as the holidays roll in. At Brow Beat, we’re big science fiction fans and we thought the Yuletide would be a great time to pay homage to a Christian thinker who also happened to beget one of our favorite genres. That’s because John Milton—poet, free speech advocate, civil servant, classics scholar—was arguably a forefather to Asimov, Bradbury, Delaney, and the rest. Their outlandish other worlds owe a debt to his visionary mode of storytelling; their romance—characters who go on quests, encounter adversaries at portals, channel the forces of light and dark—is his, too. Not to mention that the text of Paradise Lost is saturated in science. Milton met Galileo, for the first and only time, in a 1638 visit that Jonathan Rosen compared to “those comic book specials in which Superman meets Batman.” The “Tuscan artist” appears in Paradise Lost more than once. Book I compares Satan’s shield to the moon seen through a telescope. And the poem is studded with scientific details—“luminous inferior orbs” churning through outer space, descriptions of sunspots and seasons, creatures that evolve (according to divine plan, but still). Through it all, Milton, a storyteller, comes off as entranced by the laws governing the universe. (His mouthpiece in this regard is Adam, who cannot get enough of the angel Raphael’s disquisition on celestial motions in Book VIII.) There’s something very sci-fi about anyone who, while taking care to present his era’s astronomical theories as speculative, still likes to spin that speculation out into long descriptions of cosmic phenomena. Arthur C. Clarke would surely be proud. Yikes. Like the sci-fi B-movies of the 1950s, which imagined the doomsday consequences of nuclear energy, Paradise Lost reflects anxieties about contemporary technology. In the late 17th century, armies were beginning to experiment with “modern” artillery, such as cannons and gunpowder; people faced a previously unthinkable type of violence, one vicious enough to leave entire battalions dead when the smoke cleared. Science’s possibilities, but also its costs, weighed on Milton throughout his life, as they have any science-fictionist worth his salt. And if you need more proof that John Milton inspired generations of sci-fi progeny, note that the creature in Mary Shelley’s Frankenstein liked to read books. He read them to understand his place in the world; to discern his relationship to his maker; to figure out which quests for knowledge are actually worth pursuing. Of the volumes he used to educate himself, Shelley tells us, one in particular “excited different and far deeper emotions” than the rest. That book was Paradise Lost.